Famatinite: Mineral information, data and localities. From the type locality, Sierra de Famatina, Argentina. Seleniferous Famatinite A selenium-bearing variety of famatinite with up to 23.89% (w/w) of selenium. Stibioluzonite (of Schneiderhöhn & Ramdohr) As-rich variety of famatinite. 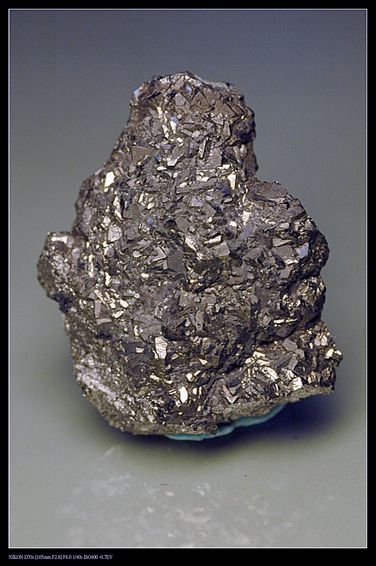 See also Stibioluzonite (of Strunz), which is a synonym of Famatinite. Pyrite 10 photos of Famatinite associated with Pyrite on mindat.org. Tetrahedrite 6 photos of Famatinite associated with Tetrahedrite on mindat.org. Chalcopyrite 5 photos of Famatinite associated with Chalcopyrite on mindat.org. Quartz 3 photos of Famatinite associated with Quartz on mindat.org. Goldfieldite 3 photos of Famatinite associated with Goldfieldite on mindat.org. Arsenopyrite 2 photos of Famatinite associated with Arsenopyrite on mindat.org. Pyrargyrite 2 photos of Famatinite associated with Pyrargyrite on mindat.org. Tennantite 1 photo of Famatinite associated with Tennantite on mindat.org. Calcite 1 photo of Famatinite associated with Calcite on mindat.org. Polybasite-Tac 1 photo of Famatinite associated with Polybasite-Tac on mindat.org. Stelzner (1873) Min. Mitt. : 242.
vom Rath (1880) Zs. Kr. : 4: 426. Stevanović (1903), Zs. Kr. : 37: 240. Shannon (1917): American Journal of Science: 44: 469. Schneiderhöhn and Ramdohr (1931): 2: 469. Harcourt (1937): American Mineralogist: 22: 517. Palache, Charles, Harry Berman & Clifford Frondel (1944), The System of Mineralogy of James Dwight Dana and Edward Salisbury Dana Yale University 1837-1892, Volume I: Elements, Sulfides, Sulfosalts, Oxides. John Wiley and Sons, Inc., New York. 7th edition, revised and enlarged: 387-389. Tanelli, G. (1970): Ricerche sui minerali del gruppo dell'enargite (enargite, stibioenargite, luzonite, famatinite, stibioluzonite). Periodico di mineralogia – Roma, pp. 561-583. Skinner, B.J., Luce, F.D., Makovicky, E. (1972): Studies of the sulfosalts of copper III. Phases and phase relations in the system Cu-Sb-S. Econ. Geol. 67, 924-938. Braga, M. H.; Ferreira, J. A.; Lopes, C.; Malheiros, L. F. (2008): Phase transitions in the Cu-Sb-S system. Materials Science Forum 587-588 (Advanced Materials Forum IV), 435-439. Brodtkorb, Milka K. de (2002) Las Especies Minerales de la República Argentina. Tomo I. (Asociación Mineralógica Argentina); Paar, W. H., Putz, H., Topa, D., de Brodtkorb, M. K., & Sureda, R. J. (2005, January). Occurrence and paragenesis of tellurium in mineral deposits of Argentina. In Mineral Deposit Research: Meeting the Global Challenge (pp. 1419-1422). Springer Berlin Heidelberg. Alfredo Petrov (re-addition of previous input); DE BRODTKORB, Milka K. Precious metaltellurides and other Te-bearing minerals in different paragenesis of Argentina: A review. Rev. Asoc. Geol. Argent. [online]. 2009, vol.64, n.3, pp. 365-372.; Paar, W. H., Putz, H., Topa, D., de Brodtkorb, M. K., & Sureda, R. J. (2005, January). Occurrence and paragenesis of tellurium in mineral deposits of Argentina. In Mineral Deposit Research: Meeting the Global Challenge (pp. 1419-1422). Springer Berlin Heidelberg. McQueen, K. G. (1987). A Second Occurrence of Falkmanite: Pinnacles Mine, Broken Hill. New South Wales. The Canadian Mineralogist, 25(1), 15-19. Mrazek, R. & Feitzinger, G. (1992): Bemerkungen zur Gold-Silber-Vererzung vom Bergbau Leidenfrost am Rauriser Sonnblick. Mineralogisches Archiv Salzburg, 3, 54-57. Paar, W. H. & Chen, T. T. (1985): Zur Mineralogie von Cu-Ni(Co)-Pb-Ag-Hg-Erzen im Revier Schwarzleo bei Leogang, Salzburg, Österreich. Mitt. österr. geol. Ges. 78, 125-148. - Jiajun Liu, Zhiming Li, Jianming Liu, Jianping Wang, Caixia Feng, and Wenquan Lu (2005): Journal of Jilin University (Earth Science Edition) [Jilin Daxue Xuebao (Diqiu Kexue Ban)] 35(5), 545-553. Sur la présence de ménéghinite dans deux gîtes français. AICARD et coll. (1968) : Bull. Soc. Franc. Min. et Crist. Walenta, K. (1992): Die Mineralien des Schwarzwaldes. Chr. Weise Verlag, München, 336 pp. (in German); KOLITSCH, U., GRÖBNER, J. 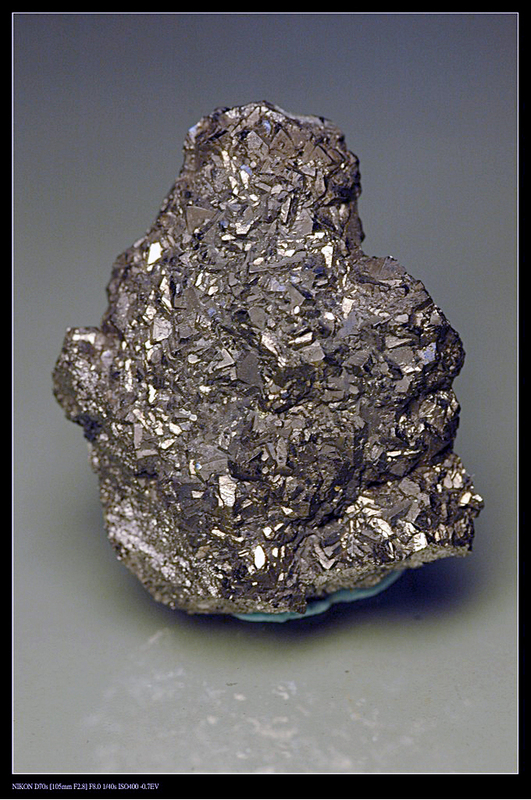 & BAYERL, R. (1995): Die Mineralien der Silber-Antimon-Vererzungen der Grube Clara im Zeitraum 1993 bis 1995. - Erzgräber 9 (2), 61-77. Voudouris, P. (2005). Mineralogy of the high-sulfidation Cu-Sb-Te Mavrokoryfi prospect (western Thrace, Greece). In Mineral Deposit Research: Meeting the Global Challenge (pp. 1435-1438). Springer, Berlin, Heidelberg. Periferakis, A., Voudouris, P., Melfos, V., Mavrogonatos, C., & Alfieris, D. (2017, April). The Stypsi-Megala Therma porphyry-epithermal mineralization, Lesvos Island, Greece: new mineralogical and geochemical data. In EGU General Assembly Conference Abstracts (Vol. 19, p. 12950). The Canadian Mineralogist Vol. 41, pp. 185-200 (2003); Yuningsih, E. T., Matsueda, H., & Rosana, M. F. (2014). 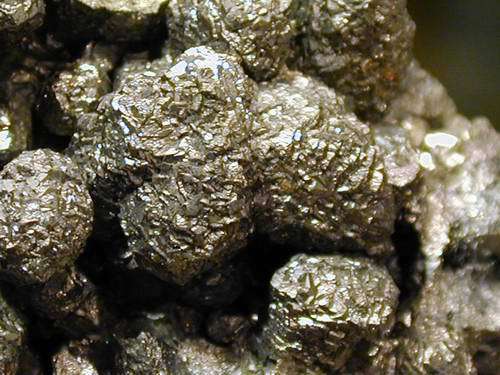 Epithermal Gold-Silver Deposits in Western Java, Indonesia: Gold-Silver Selenide-Telluride Mineralization. Indonesian Journal on Geoscience, 1(2), 71-81. Mehrabi, B., Siani, M. G., Goldfarb, R., Azizi, H., Ganerod, M., & Marsh, E. E. (2016). Mineral assemblages, fluid evolution, and genesis of polymetallic epithermal veins, Glojeh district, NW Iran. Ore Geology Reviews, 78, 41-57. Orlandi, P., Bracci, G., Dalena, D., Duchi, G., and Vezzalini, G. (1980) I minerali delle geodi della formazione marmifera di Carrara. Atti della Società Toscana di Scienze Naturali, Memorie, serie A, 87, 93-124. Orlandi P., Franzini M., 1994. I minerali del marmo di Carrara. Amilcare Pizzi S.p.A., Milano. ; Orlandi, P. & Criscuolo, A. (2009). Minerali del marmo delle Alpi Apuane. Pacini editore, Pisa, 180 pp. Orlandi, P., and Bianchi, G. (1976) Nota di mineralogia toscana. I minerali delle geodi dei marmi di Carrara. Atti della Società Toscana di Scienze Naturali, Memorie, serie A, 83, 220-229; Orlandi, P., Bracci, G., Dalena, D., Duchi, G., and Vezzalini, G. (1980) I minerali delle geodi della formazione marmifera di Carrara. Atti della Società Toscana di Scienze Naturali, Memorie, serie A, 87, 93-124. Gramaccioli, C. M., 1985. Conoscere i minerali. I solfosali. Istituto Geografico De Agostini, Novara, 96 pp; Morino A., Passarino G. (2016): Minerali nel marmo di Carrara: solfuri e solfosali. Riv. Mineral. Ital., 40, 1 (1-2016), 22-33. Imai, A., Matsueda, H., Yamada, R., Masuta, K. (1999): Polymetallic Mineralization at the Shin‐Ohtoyo Deposit, Harukayama District, Hokkaido, Japan. Resource Geology 49, 75-88. Drovenik, M. (1958): Bakrovo Rudišče Gornja Lipa. Geologija, 4, 63-78 (in Slovenian). L. P. Tan, C. H. Chen and B. S. Yu (1993) Native Gold of Taiwan. Special Publication of the Central Geological Survey No. 7, pp. 79-99. Pekov, I. (1998) Minerals First discovered on the territory of the former Soviet Union 369p. Ocean Pictures, Moscow; Evseev, A. A. (1995) Kazaknstan and Middle Asia. A brief Mineralogical Guide. World of Stone 8:24-30; Bonev, I. K., Petrunov, R., Cook, N. J., & Ciobanu, C. L. (2005). 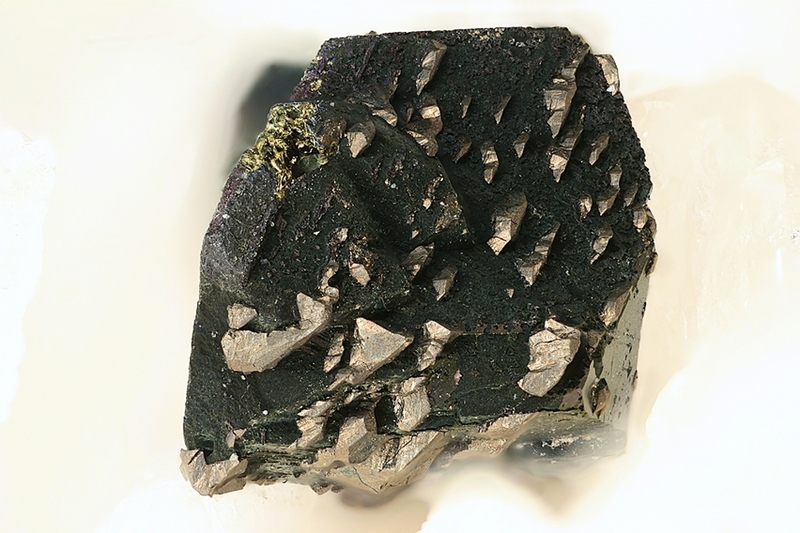 Kostovite and its argentian varieties: Deposits and mineral associations. Geochem. Mineral. Petrol.(Bulg. Acad. Sci. ), 42, 1-22.; Plotinskaya, O. Y., Kovalenker, V. A., Seltmann, R., & Stanley, C. J. (2006). Te and Se mineralogy of the high-sulfidation Kochbulak and Kairagach epithermal gold telluride deposits (Kurama Ridge, Middle Tien Shan, Uzbekistan). Mineralogy and Petrology, 87(3-4), 187-207. Slim-Shimi, N., Moëlo, Y., Tlig, S. & Lévy, C. (1996): Sulfide geochemistry and genesis of Chouichia and Ain el Bey copper deposits in northwestern Tunisia. Mineralium Deposita 31, 188-200. Anthony, J.W., et al (1995), Mineralogy of Arizona, 3rd.ed. : 219, 392; Butler, B.S., et al (1938b), Geology and ore deposits of the Tombstone district, AZ, AZ Bur. Mines Bull. 143; Galbraith, F.W. (1947), Minerals of AZ, AZ Bur. Mines Bull. 153: 28. Anthony, J.W., et al (1995), Mineralogy of Arizona, 3rd.ed. : 219; Butler, B.S., et al (1938b), Geology and ore deposits of the Tombstone district, AZ, AZ Bur. Mines Bull. 143; Galbraith, F.W. (1947), Minerals of Arizona, AZ Bur. Mines Bull. 153: 27. Anthony, J.W., et al (1995), Mineralogy of Arizona, 3rd.ed. : 219; Barnes, R. & M. Hay (1983), Famous mineral localities: The Magma Mine, Min.Rec. : 14: 72-82; Hammer, D.F. & D.W. Peterson (1968), Geology of the Magma mine area, AZ, in J.D. Ridge (editor), Ore deposits of the United States, 1933-1967, A.I.M.E. : 1282-1310. Eakle, Arthur Starr (1919a), Alpine County: California Mining Bureau. Report 15: 12; Harcourt, George Alan (1937), The distinction between enargite and famatinite (luzonite): American Mineralogist: 22: 521; Pemberton, H. Earl (1983), Minerals of California; Van Nostrand Reinholt Press: 135; Mineralogical Record (1989): 20: 129-142. Kelley, Vincent Cooper (1938), Geology and ore deposits of the Darwin silver-lead mining district, Inyo County, California: California Division Mines Report 34: 544; Hall, Wayne Everett & E.M. Mackevett (1958), Economic geology of the Darwin quadrangle, Inyo County, California: Calif Division of Mines Special Report 51, 77 pp. : 17; Pemberton, H. Earl (1983), Minerals of California; Van Nostrand Reinholt Press: 136; Stolburg, C.S. (1984): The mines and minerals of Darwin, Californa. Mineralogical Record 15(1): 5-18. Hall, Wayne Everett & E.M. Mackevett (1958), Economic geology of the Darwin quadrangle, Inyo County, California: Calif Division of Mines Special Report 51, 77 pp. : 17; Hall, Wayne Everett & Edward M. Mackevett (1963), Geology and ore deposits of the Darwin quadrangle, Inyo County, California: USGS PP 368: 59; Murdoch, Joseph & Robert W. Webb (1966), Minerals of California, Centennial Volume (1866-1966): California Division Mines & Geology Bulletin 189: 175. NBMG Spec Pub 31 Minerals of Nevada; U.S. Geological Survey (2005) Mineral Resources Data System: U.S. Geological Survey, Reston, Virginia.